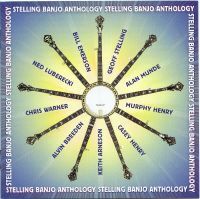 Banjo maker Geoff Stelling has assembled a stellar cast of banjo pickers to showcase his central-Virginia made Stelling banjos on this new instrumental collection. Murphy plays her custom Murphyflower on "John Hardy." She and Casey twin "Bury Me Beneath the Willow." Casey contributes her original "Red Mary Janes." Also features Bill Emerson, Ned Luberecki, Chris Warner, Alvin Breeden, Keith Arneson, Alan Munde and Geoff Stelling himself. Rebel Records REB-1815.